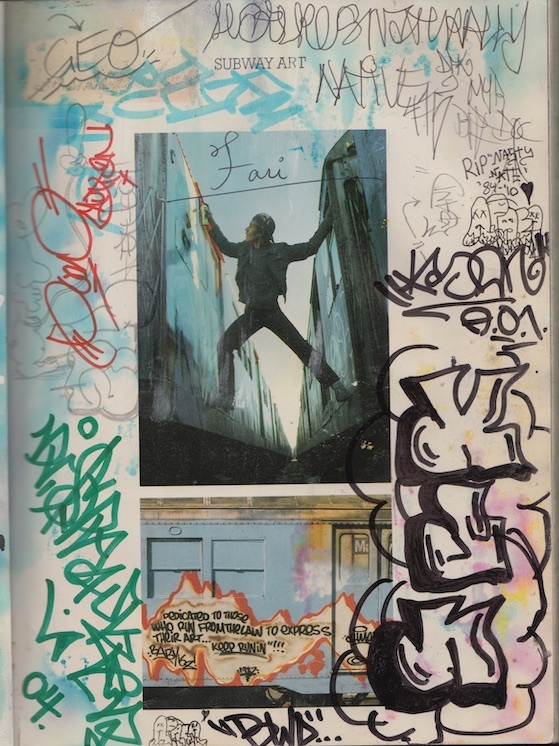 My daughter, now 14, recently has gotten interested in the “wild style” era of graffiti writing and I borrowed a copy of Martha Cooper and Henry Chalfant’s groundbreaking Subway Art (1984) via an inter-library loan. My copy came from Cal State Humboldt and inside, as you’ll see, students over the years have marked up the interior cover pages. The earliest of these go back at least to 1996 and the most recent have been since 2016. I suspect many other library copies around the world have similar tags but this seems truly extraordinary regardless. Thought I’d scan these for you all to enjoy. Shout out to Martha, Henry and writers the world over.